The holiday season is fast approaching, and retailers are pulling out all the stops and stocking shelves with holiday gifts. Preparing for the holiday gift season requires thought and planning and some shopping savvy. By following a few tips, you can get the best gifts without breaking the bank. Don’t wait until November to start shopping for holiday gifts. This is the prime time for retailers as stores will be packed with shoppers looking to score a deal. While there are great deals available in the weeks between Thanksgiving and Christmas, there are also many other shoppers competing for these low-priced items. Crowds often mean that the best items will be snapped up quickly, leaving you scrambling to find lower prices elsewhere in the store. Start shopping as early as October to find great deals before the crowds rush in. 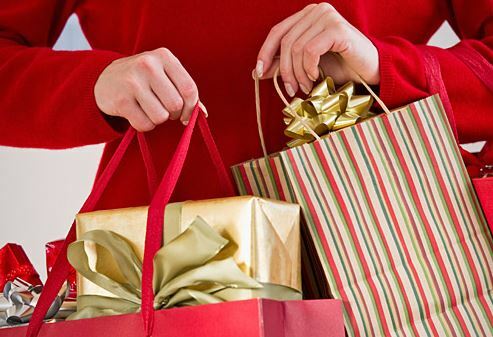 Many shoppers spend more than they planned on holiday gifts. Set a budget for your spending and stick to it. Some shoppers withdraw cash from the bank and set aside envelopes with a set amount of money for each recipient. Techniques like these can help you keep from overspending. If you are creative, you can save money by making your own gifts. Scope out craft stores and purchase inexpensive materials to make your own gifts. Bundle several low cost items and make a gift basket that your recipient will love. Pack a gift basket with popcorn boxes, microwave popcorn and a gift card for video rental for your favorite movie lover. You can often save money by giving practical gifts that your recipients will actually use. Buy a new printer and browse hp ink online. Printers always come in handy and are well appreciated by the person who always seems to be at their desk working. Gifts like bath sets, tools and organization items also make great gifts. You can even buy gift cards to office supply stores, hardware stores and home décor stores. There are many great coupon sites that will list discounts from various retailers. Peruse these sites and find the best deals without ever leaving home. Some sites offer free shipping for even greater savings. Avoid the crowds and get the gifts you want without the hassle. You can snag the best holiday gifts without breaking the bank. By shopping in advance, using your creativity and taking advantage of deals, you will get the best gifts at the best prices. Good advice! I always like to give practical gifts when I know what the recipient really needs, along with a more fun gift. They always message me later telling me it was a life saver.